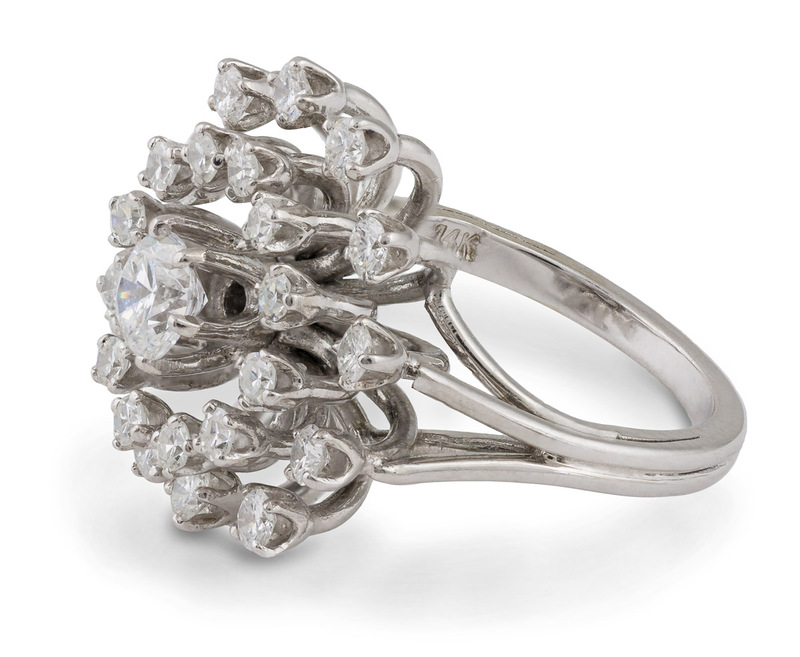 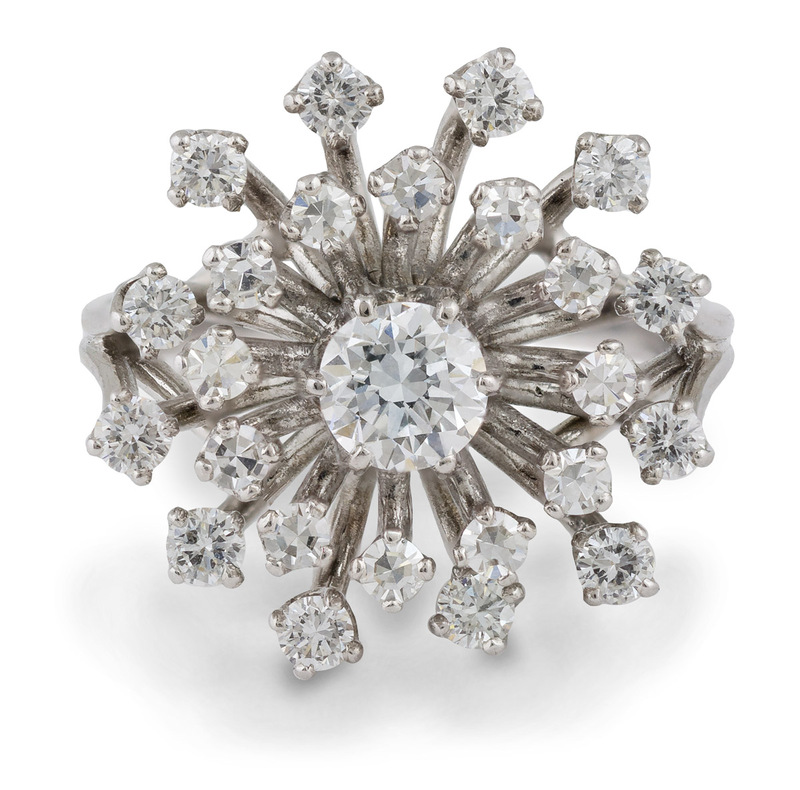 This lovely diamond cocktail ring features a star-like cluster design. 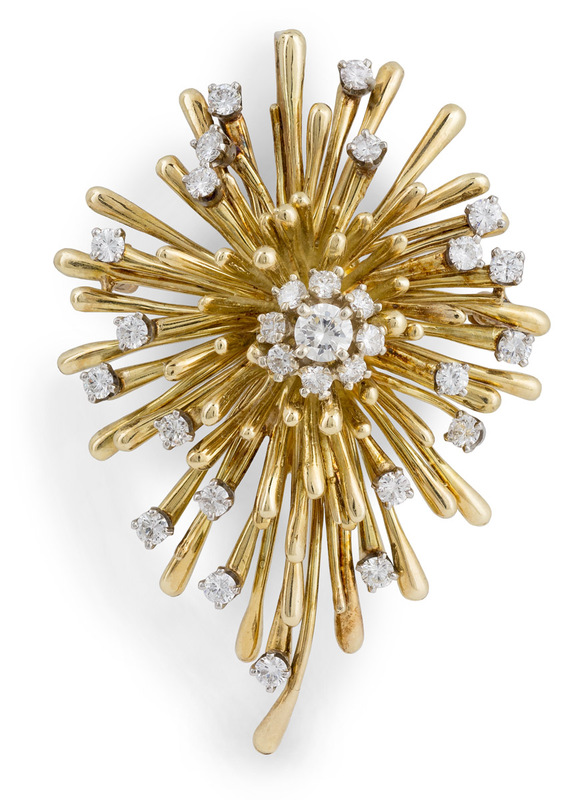 The center diamond is surrounded by over twenty smaller diamonds, exploding from the center like a sparkling firework. 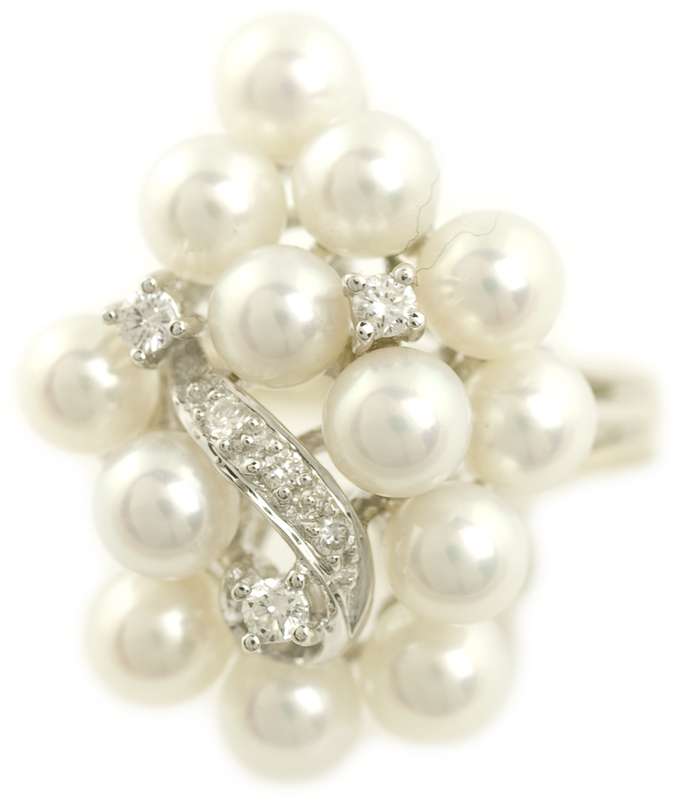 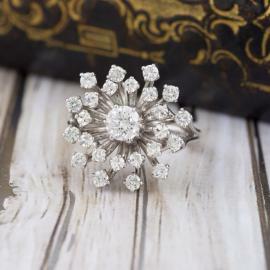 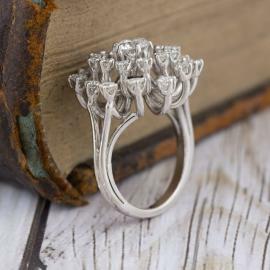 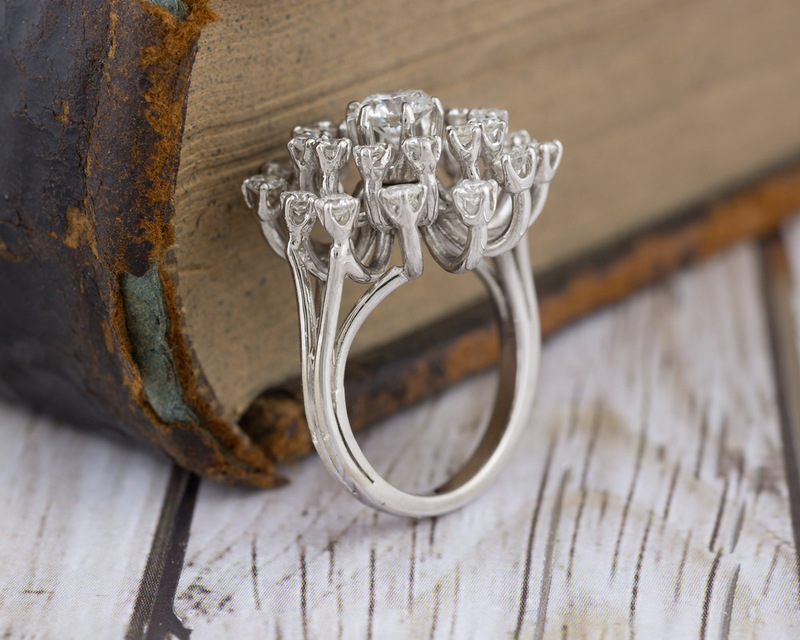 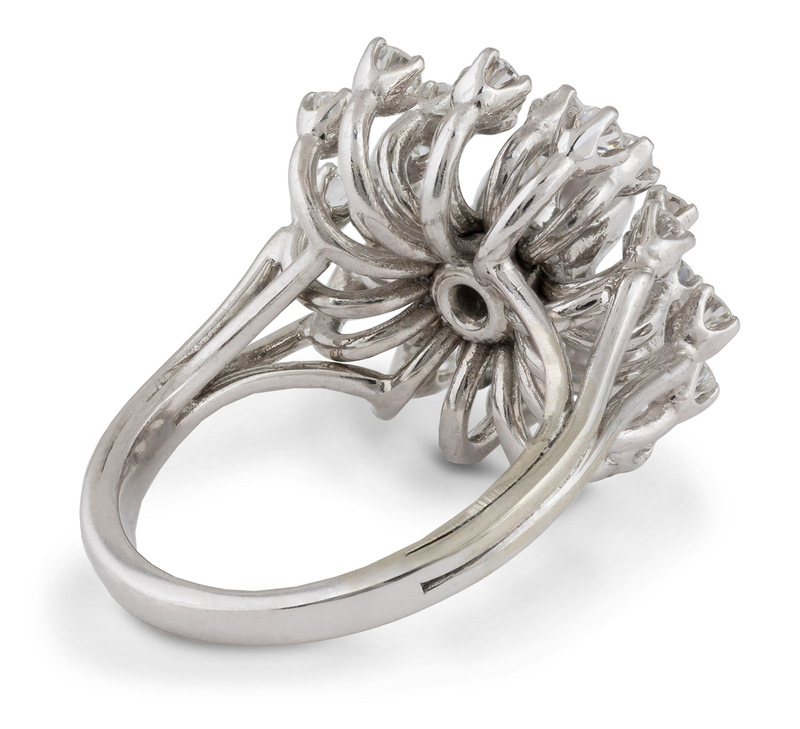 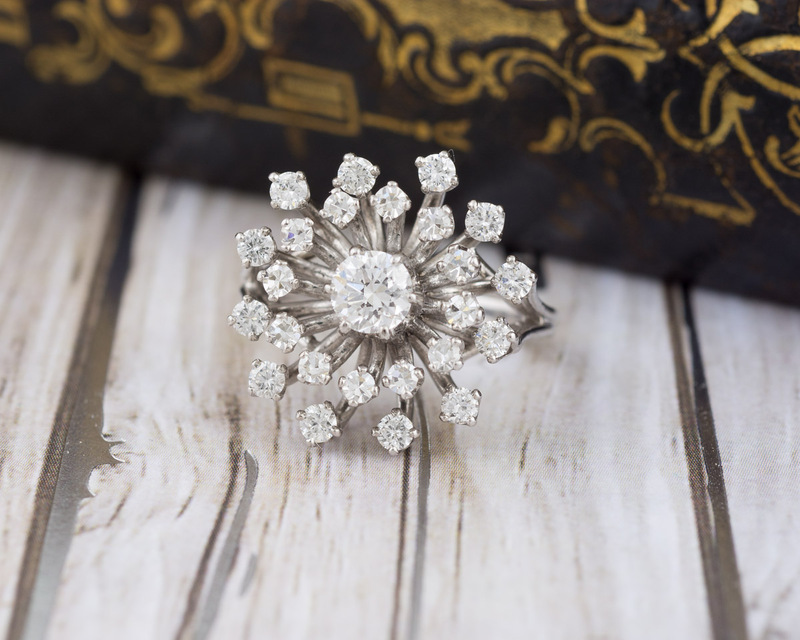 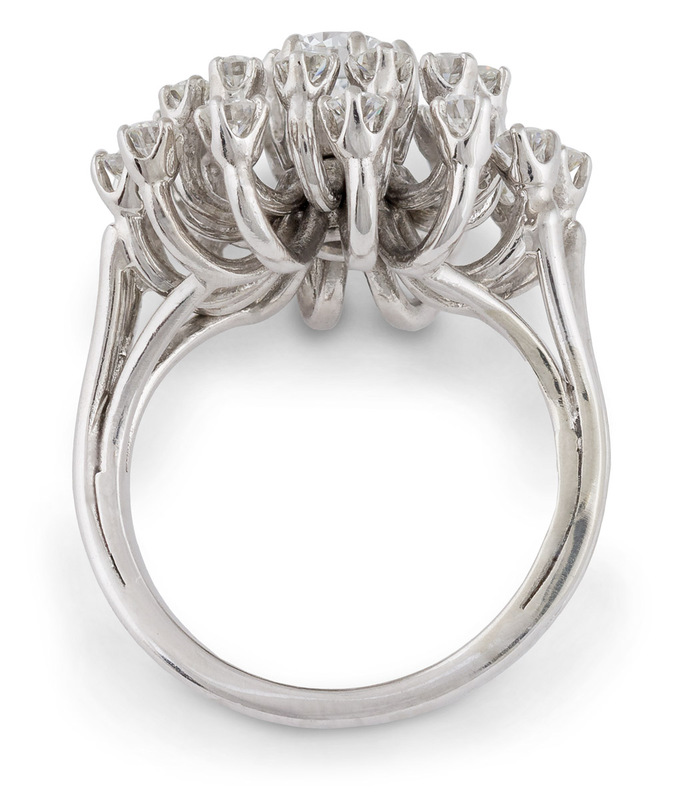 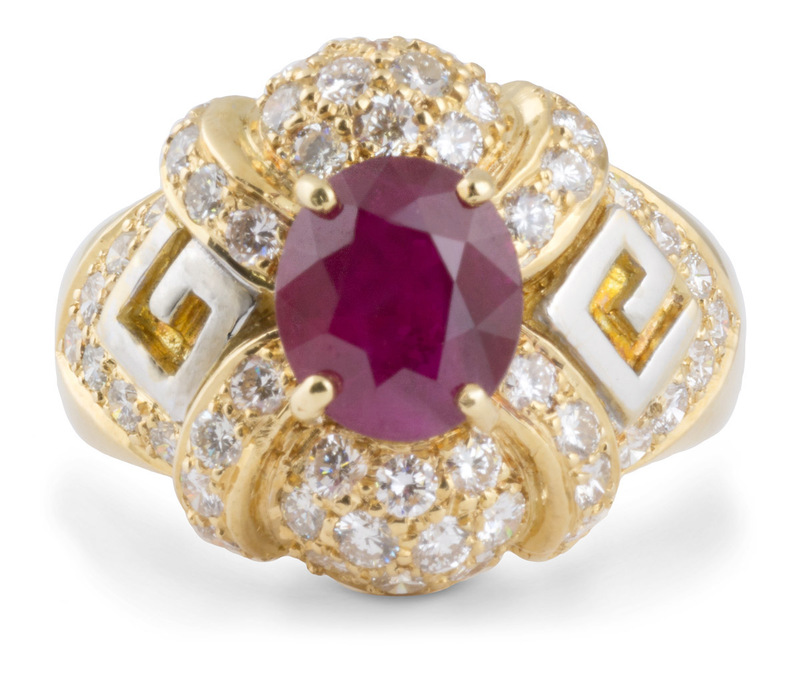 This vintage ring brings the wow-factor.